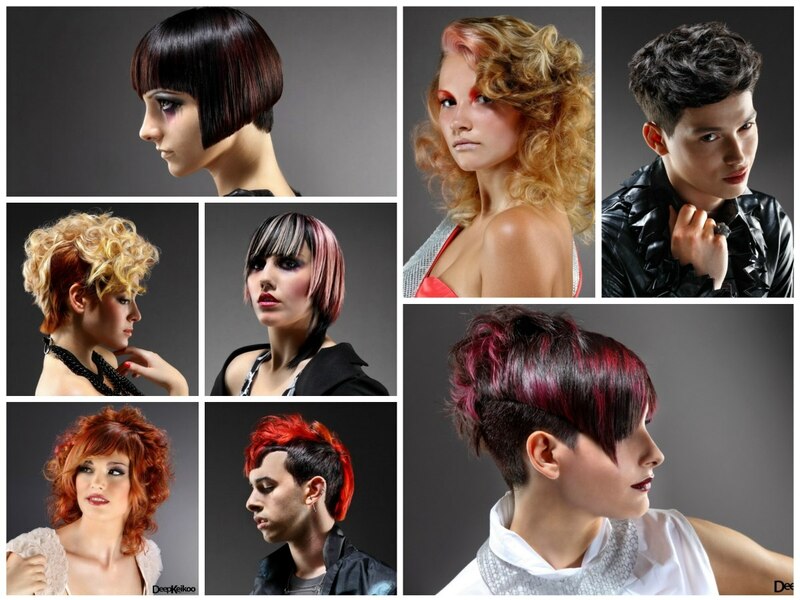 The English name for this hairstyles collection by the Italian Salon of creative geniuses, DeepKeikoo, is "Perspective". And what a perspective the Neapolitan stylists are giving us! There are undeniably some retrospective aspects in these looks which come with the best of the best elements of style from past decades. These glances back in time have been updated with a new vision and a new, clear and sharp edge. From romantic big hair to flapper style, punk and goth, every bud of our tastes in hairstyles should be activated after checking out these creations. 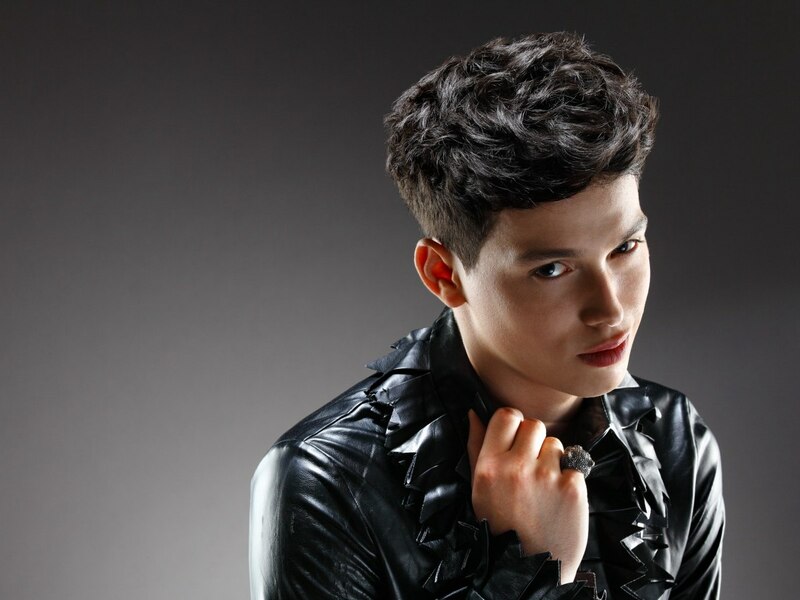 Opulent curls are contrasted by tightly pulled sides, the latter almost reminding of a very short undercut, which could be an alternative to styling the longer sides up and pinning them. The top shows off the layers of curls that make this hairstyle so dramatic. Most of them are well defined in their luscious roundness but a certain amount of frizz and disheveling comes in as a sensual touch. The bangs are sleeker than the rest and dip about halfway into her forehead. A perfect look for any festive occasion or even just when you feel a bit fancy. You may be familiar with an A-line bob, where the back is shorter than the front for an intriguing silhouette. Deepkeikoo uses the idea in a much shorter haircut. A smooth, slightly curved line springs forward in a downward angle at about the level of her eyes. The sides and the back are clipped super short. To push the contrast even further the sleek top section boasts gorgeous sprinkles of color. The rich berry tone pops out in the dark brown base color and was applied in irregular patches. A portion of the back and top hair breaks the smoothness with semi curls and a lot of wild movement. This very short hairstyle has so many details that make it unique! Cat woman meets a 1920s flapper and DeepKeikoo has just the right hairstyle to put a shape to the fantastic idea. All the elements are there! The A-line bob is so short that a portion of the neck hair can be graduated and peek out underneath. 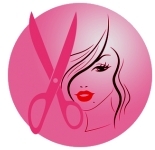 Another unique feature is the double curved, sharply cut bangs with their pointed dip in the center. The very graphic shape looks extra polished with the shiny dark brown color, intensified by mahogany highlights. Girls just wanna have fun! Cindy Lauper belted it out and it has not lost any of its truth. With a short hairstyle like this, you will not complain about a lack of fun, ever! The best of all worlds comes together in this eclectic creation with curls and sleek parts, separated more by two different hair colors. Light beige blonde and a warm copper harmonize but are different enough to stand out. The sleek section is darker while a couple of handful of playful curls cause turmoil on top of the head, plunging down to a side fringe in front. Vertical stripes are slimming, but painted into hair they are wonderfully eccentric, especially when they are platinum blonde and set on a short bob, with a few twists of course, and two strongly contrasting base colors. 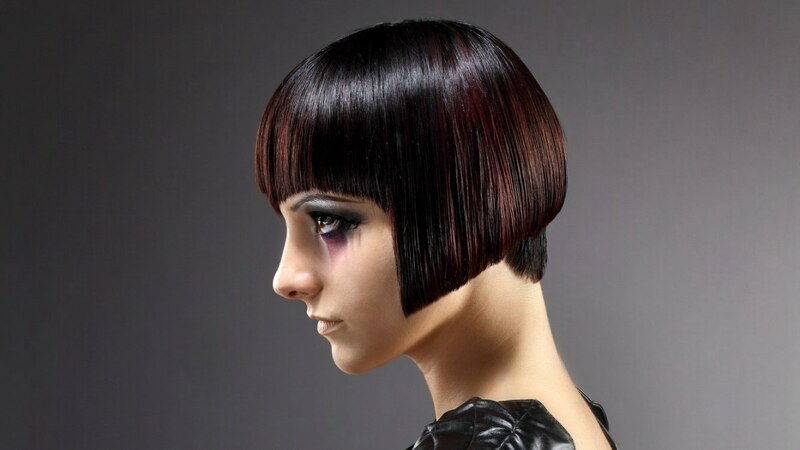 The bob was cut with uneven edges to give it a very modern and rebellious touch. In the back one longer section falls down to her shoulders and a smaller strand adds accent to the side. Black and merlot are the base colors. 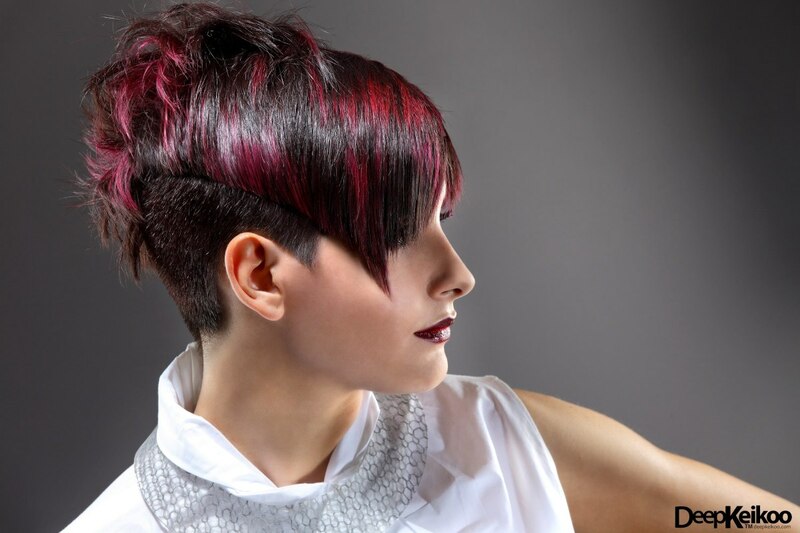 This stunning hair color is somewhere between blonde and red is spiced up with subtle accents in a lovely berry color. The cool and the warm tones make sparks like nothing else. All then styled to a big hair curly look that must have been inspired by some of the wild hairstyles from the 1980s. 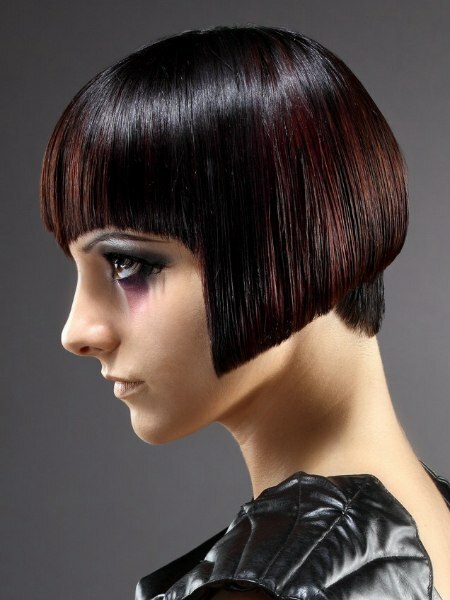 A sleek front adds a novel touch with the long, curved bangs and a small side section following the straight theme. The result is a romantic look that unfolds its unconventionality at the second glance. One color accent can turn a well known big hair look into a novelty. If you love the wild volume but want to set yourself apart from the other 80s aficionados, let DeepKeikoo inspire you to play with color. Less is more in this case and the salmon color effect was only blended into the upper part of the long side bangs. Her eye make-up features a similar color and the general effect is very modern and intriguing. Temporary hair color could be a quick solution, but it won't give you the depth and luscious shine that a good stylist can achieve. You can be tough, but stylish too! How about that? 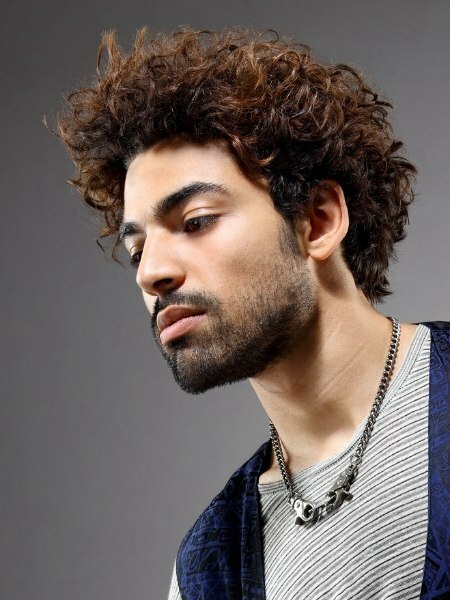 This retro inspired modern men's hairstyle has a high profile with its clipped, super short sides and a curly top that builds up a lot of volume and swirled motion on the crown and has thick, short bangs that can be styled into the face or for an entire different expression, styled across the forehead. 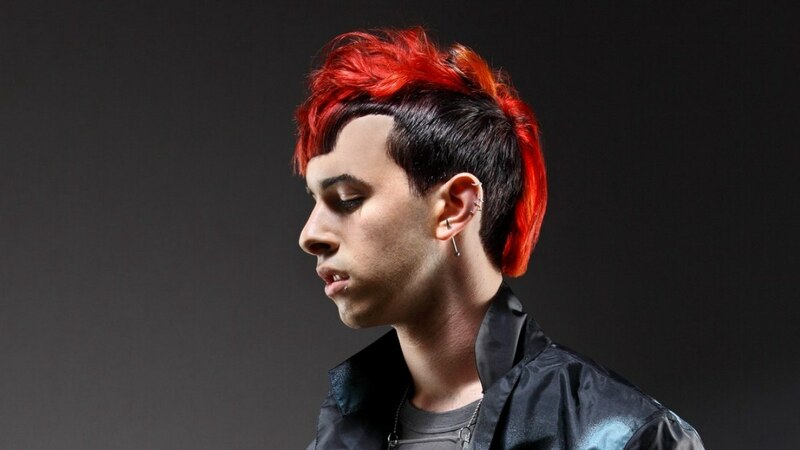 His hair color is a raven tone, perfect match for the cool black leather jacket. DeepKeikoo set the Mohawk on fire! 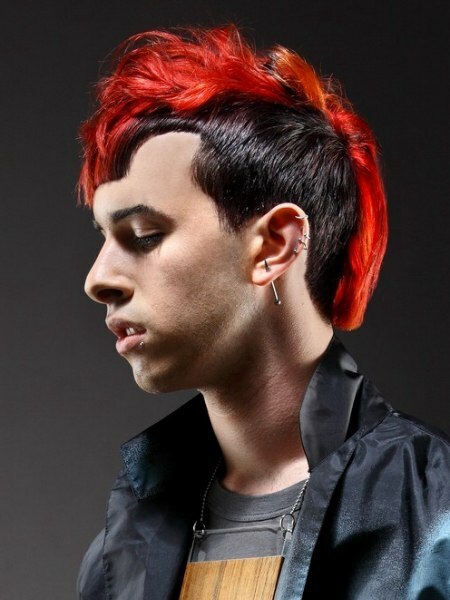 A beautiful mix of deep orange and full red sits atop a geometric short haircut in black. Contrasts over contrasts bring back a memory of the punk era and takes it to new levels with the unique outline in the bangs. The Mohawk part is short enough to defeat gravity if needed, but here it was styled in a softer, curled and scrunched way. 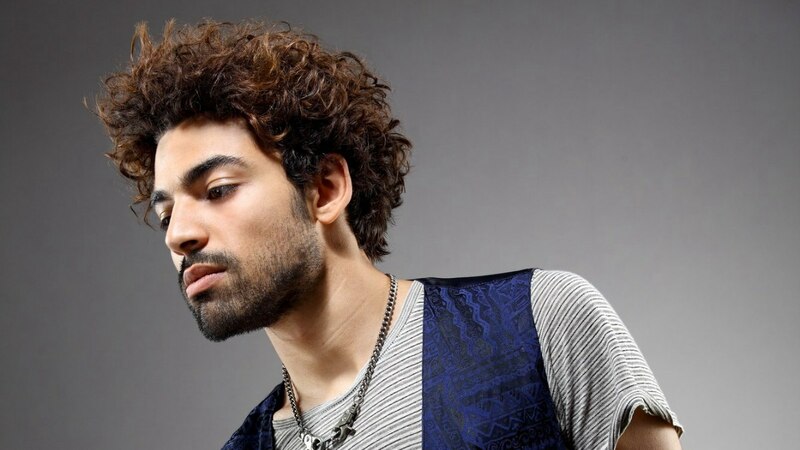 Stop struggling to tame your natural curl and let it unfold its full charm. 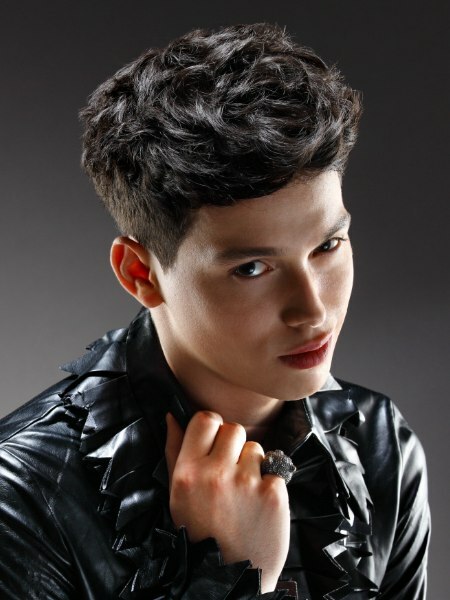 With a great cut the volume is distributed just right and the shape can be adjusted to any face shape. 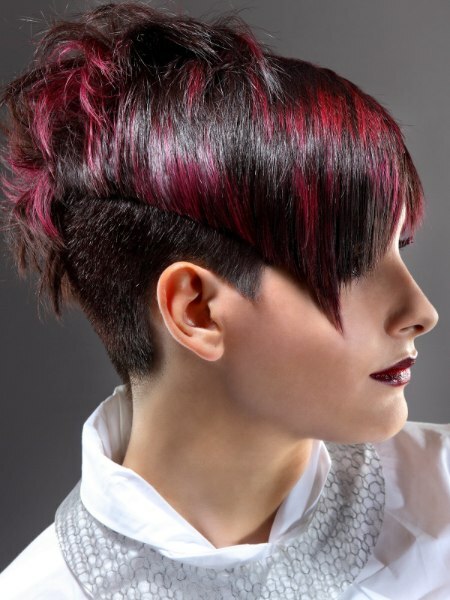 Here the sides are shorter than the top and the back giving the entire hairstyle a lifted silhouette. A very subtle play of medium and dark brown colors adds much dimension to this handsome look. The bangs are styled out of the face and the well groomed, short beard has this certain dangerous flair, that will make the ladies swoon.